Jessica Dos Santos, who grew up with the Bolivarian Revolution, is a university professor and journalist, but for many she has found her true calling as a chronicler of everyday life in Venezuela. Whether focused on the weekly struggle to get running water, celebrating Christmas in the crisis or the wild side of using improvised public transport in Caracas, her stories are always honest, heartfelt, and revealing. They show another side of Chavismo far from the high-toned official discourse, but just as important because it is there–in the details of everyday life–that much of the future of the revolutionary process will be decided. Much has been written in a very general sense about Venezuela’s current situation. For example, we hear a great deal about the economic war, sanctions, imperialist meddling, and even communal organization and building popular power. But very little is said about daily life: for example, about the difficulties we face every day in a city like Caracas. Would you say that being a chronicler of everyday life is a political act? What happens to politics when it doesn’t connect with concrete reality and when daily life is not taken into account? Well, I am one of those people who believe that absolutely everything in life is a political act, from the way we feed ourselves to our way of speaking. And that is perhaps the key to understanding why politics goes beyond and must go beyond party politics. Therefore, I agree with you. I think that being a chronicler of everyday life is a political act that seeks to record the day-to-day and layout, in some way or other, the main episodes of the story we are living. It is an attempt to leave traces that will later allow us to reconstruct a scene. It helps us know what was happening moment by moment leading up to this or that event. For example, many parts of President Nicolás Maduro’s speech during his Annual Address have nothing to do with what the Venezuelan people experience on a daily basis. In the same way, Guaidó doesn’t win people over saying that among its first political projects is the return of the RCTV channel. These are things that don’t make any sense in a country with problems as serious as ours. Alejo Carpentier said that the work of Latin American writers was different from that of writers elsewhere. 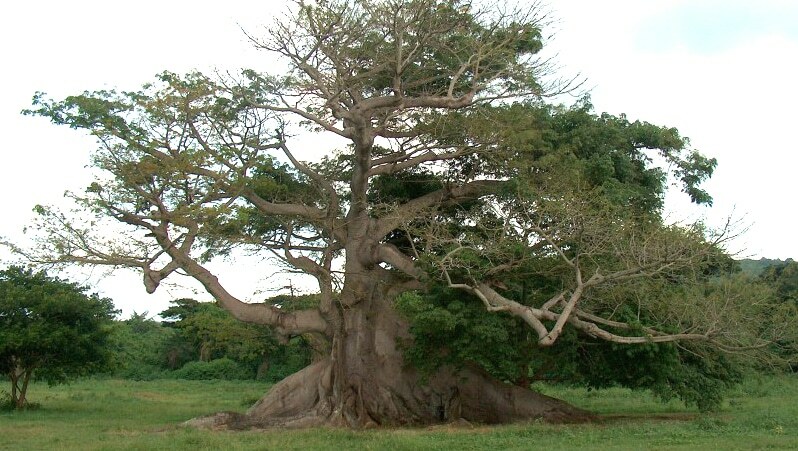 Writers from our continent have to describe things (like as the bizarre and huge ceiba tree or the noisy macaw) with alot of attention to detail, because they have not previously figured in narratives. Is your work as a chronicler something like that? Can you give us an example of a “ceiba,” a unique and previously undescribed reality, in Venezuelan daily life? Yes, my work is more or less like that. But I also have the enormous advantage of having been born in the Caribbean. Gabriel García Márquez says in The Fragrance of Guava that the Caribbean teaches us to see reality in a different way and accept “supernatural elements” as something that is part of our daily life. The Caribbean is a world apart. The human synthesis and the contrasts here are not present anywhere else in the world. A “ceiba” of Venezuelan daily life? One example would be precisely our way of dealing with the complex situations that we face. For example, once a Chilean friend, who was obviously annoyed, told me that she did not understand why we take everything as a joke here. Perhaps what she and others do not understand is that this is our way of processing and overcoming what happens. But that way of dealing with things doesn’t make us crazy or unaware. For example, on the day commemorating January 23, I happened to see both marches. Then I went home and spent the whole afternoon following the events. It was really tense, but in the middle of all of it, there was a lot being said on the networks and messages from friends that made me laugh without stopping. If we weren’t this way, perhaps we would have lost our minds. Furthermore, our idiosyncratic way of being in the world in some way or other brings us all together. Another “ceiba” or “macaw” [a la Carpentier] would be to tell the story how Venezuelans try to lead “normal” lives in the middle of all the abnormality that we experience. It is not normal to see the same product change prices three times a day, or the amazing speed of information in our country. Nevertheless, we’re trying to change all that and come out ahead. Street protests are on the rise again. Previously they were in rural areas and the demands included access to food and services but just recently this kind of protest has hit Caracas. Unlike the guarimbas of 2014 and 2017, these protests have an organic relation to the poor and their needs: a material situation that is very extreme. What should our attitude towards these protests be? Should we question them? Should we work to bring the protestors back to the Chavista fold? We should differentiate among kinds of protests, separating one kind from another. 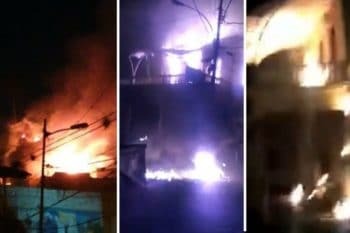 In Venezuela, there have been protests for many months, and they have been triggered by the breakdown of public services and utilities: electricity, water, cooking gas, public transport. Protests [against this kind of situation] are absolutely valid and, from my point of view, should not be called into question. Rather, they must be heard, and the demands should be urgently addressed and taken seriously. Furthermore, dealing with these problems is the only way to recover the people’s trust. These, then, are popular protests. By contrast, protests that end up in acts of vandalism, protests where houses are burned, cars are turned over, neighbors are attacked, etc., those do not contribute to anything, nor do they reflect the intentions of the majority. In fact, they end up tarnishing the just claims of the people. People want services and utilities that work, a stable economy, and they want children who have left the country to return. You don’t get there by destroying what we have left. As a Chavista, you support the government, but you do so critically. This support is unbending faced with the imperialist threat, but it is coupled with a willingness to criticise a government that (from my perspective) shows signs of separating from the people. Can you help us to understand how it is to fight on two battlefronts, one against imperialism and against the opposition, and another more fluid battlefront that demands that the government provide solutions to the people’s needs? When I was a teenager I read all the Che Guevara journals, and I read them several times. In one, he wrote that those who occupy a middle position during a battle get shot at from both sides. Thus, one should always clearly choose a side. For a long time, I tried to internalize that as an irrefutable truth. And I continue to do so. But later I came to understand that the side we choose, our side, should be that of the people. We must choose to be with the majorities, with those who suffer as we do. If the extreme positions are out of touch with the people and one ends up in the middle, then you have to accept your [middle] position and make noise about it so that things will change. All of that refers to the internal struggle. However, when it comes to fighting against foreign intervention, then there isn’t much to think about: Our home country is and must be first. And this is because of our love for it, but also because we have historical awareness. 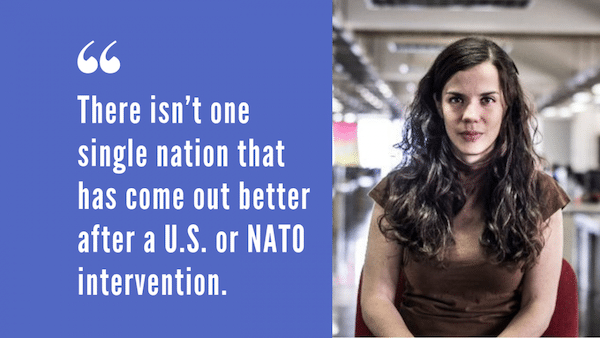 There isn’t one single nation that has come out better after a U.S. or NATO intervention. In addition to that, intervention presupposes that we don’t have the capacity to solve our own problems, and I firmly believe that we can.